The minor British band the Flies are most well-known for a couple of things, neither of which entirely prepares listeners for the pretty average brand of pop-psychedelia on most of their recordings. One is their debut single, "(I'm Not Your) Stepping Stone," issued at the end of 1966, which is a hard rock treatment of a number more associated with the Monkees, but with plenty of crunching fuzz guitar. It wasn't a hit, but it did start to get the Flies a reputation among psychedelic collectors after being included in the very first compilation of rare British psychedelia, Chocolate Soup for Diabetics. The other thing they're notorious for are their sometimes outrageous live performances, particularly their appearance at the 14-Hour Technicolour Dream psychedelic festival in April 1967 in London, where they arranged to have hundreds of bags of flour explode and cover the audience at the end of their set. 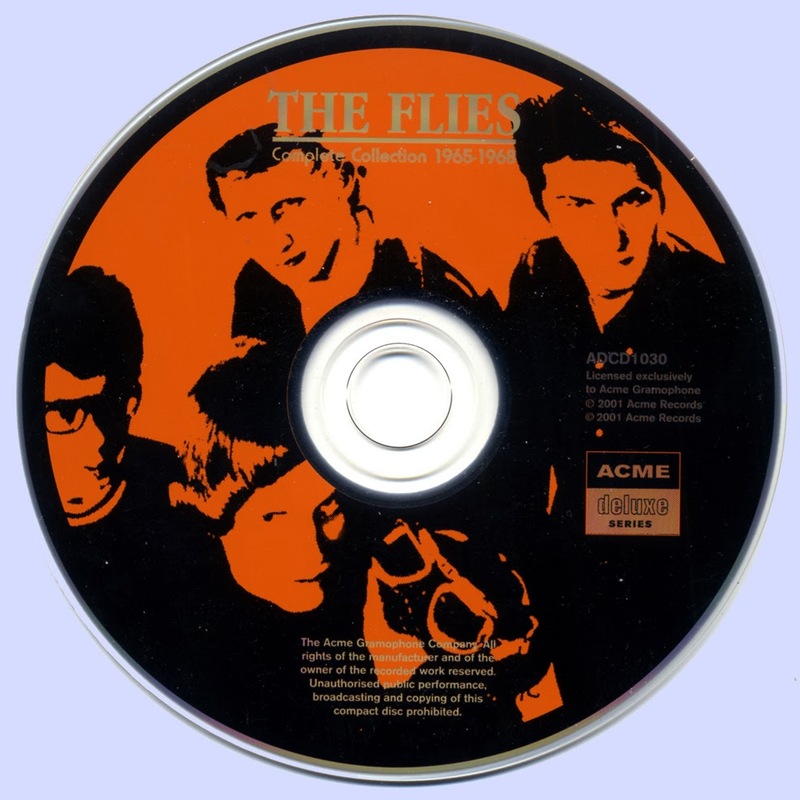 The Flies grew out of an East London band called the Rebs, and in 1965 they recorded a British Invasion exploitation album under the name of the In-Sect, all but one of the songs on the LP being covers of contemporary hits. 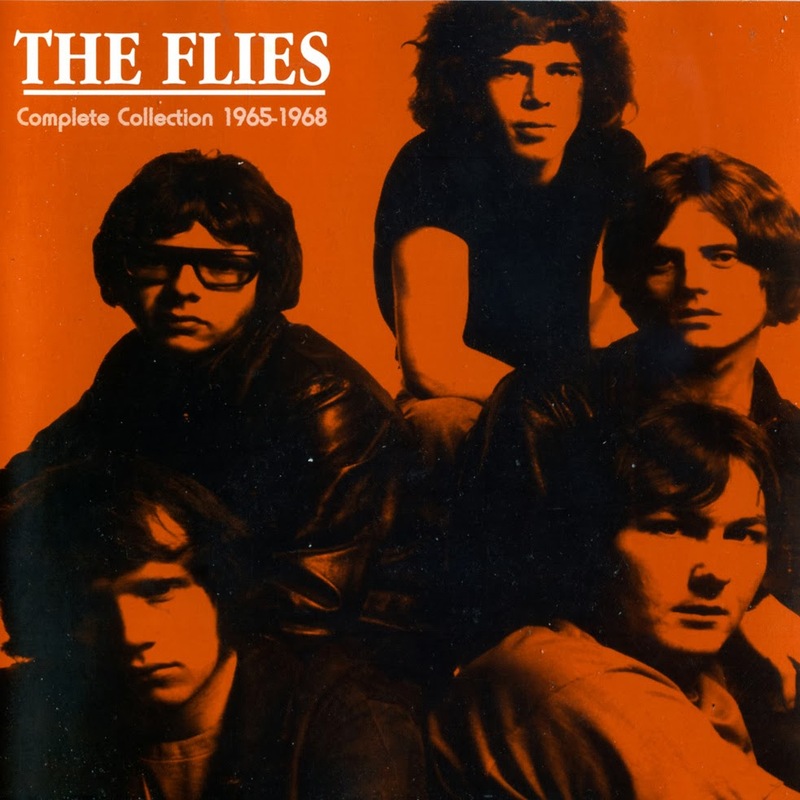 By the end of 1966 they were signed to Decca and were recording as the Flies, though they issued only a couple of singles for the label. Arguably, their version of "(I'm Not Your) Stepping Stone" is overrated, and not particularly psychedelic, What's more, it wasn't too typical of their output, which on the Decca singles, at least, was filled out by unmemorable pop and pop-psych numbers with prominent vocal harmonies, in the manner of many other fair but unremarkable British groups recording non-hit discs at the time. The Flies did manage to put out one more single on RCA in 1968, another middling piece of pop-psych titled "The Magic Train." Some unissued demos from the time show the band moving toward a more organ-based, ethereal sound, but the group disbanded at the end of that year. Members surfaced in the subsequent obscure British psychedelic/progressive groups Infinity, Please, Bulldog Breed, and T2. In addition, while still in the Flies, singer Robin Hunt recorded a very British, fey pop/rock-psychedelic 1967 single for CBS under the pseudonym Alexander Bell, "Alexander Bell Believes"/"A Hymn...With Love." All six sides of the three Flies singles, as well as both sides of the Alexander Bell 45, various 1965-68 demos, and cuts from the In-Sect album, were reissued on the CD Complete Collection 1965-1968.